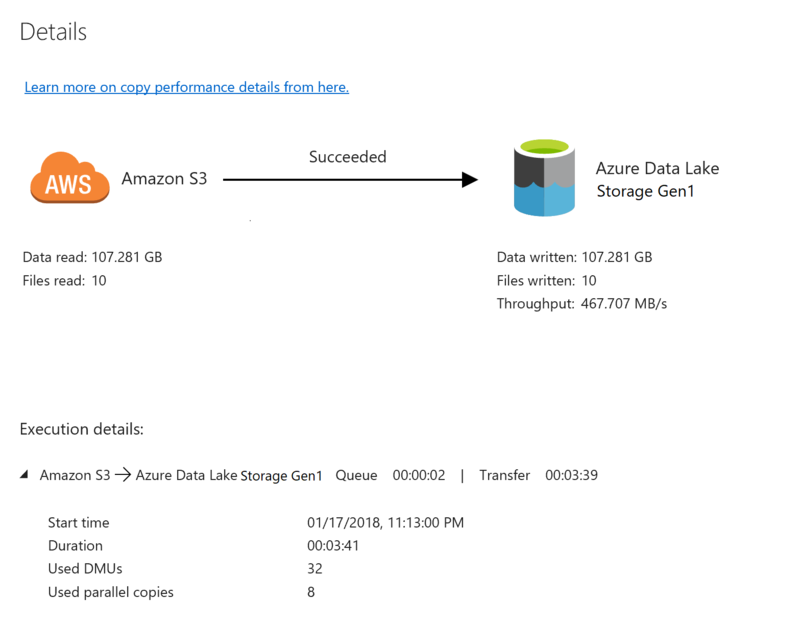 Azure Data Lake Storage Gen1 (previously known as Azure Data Lake Store) is an enterprise-wide hyper-scale repository for big data analytic workloads. Data Lake Storage Gen1 lets you capture data of any size, type, and ingestion speed. The data is captured in a single place for operational and exploratory analytics. 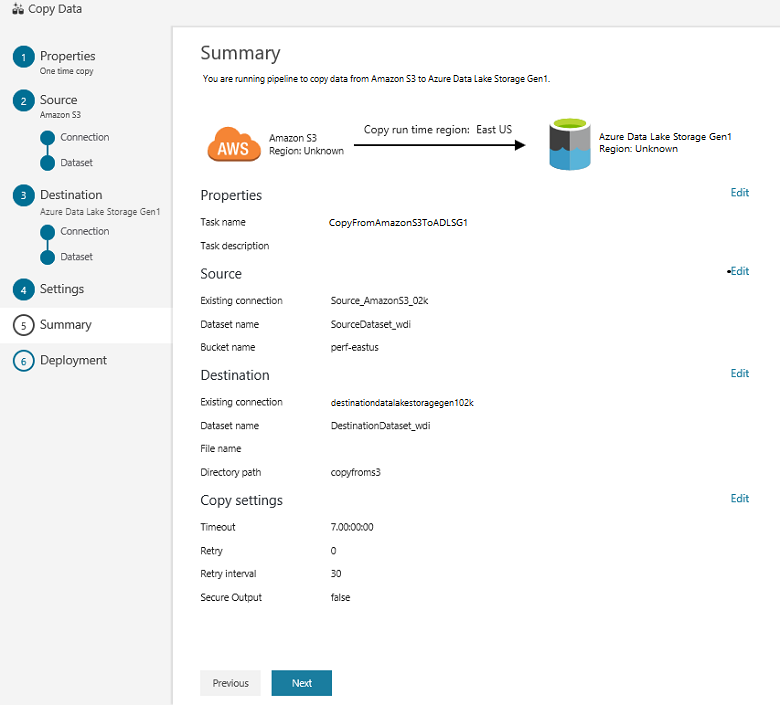 Azure Data Factory is a fully managed cloud-based data integration service. You can use the service to populate the lake with data from your existing system and save time when building your analytics solutions. Easy to set up: An intuitive 5-step wizard with no scripting required. Rich data store support: Built-in support for a rich set of on-premises and cloud-based data stores. For a detailed list, see the table of Supported data stores. Secure and compliant: Data is transferred over HTTPS or ExpressRoute. The global service presence ensures that your data never leaves the geographical boundary. High performance: Up to 1-GB/s data loading speed into Data Lake Storage Gen1. For details, see Copy activity performance. 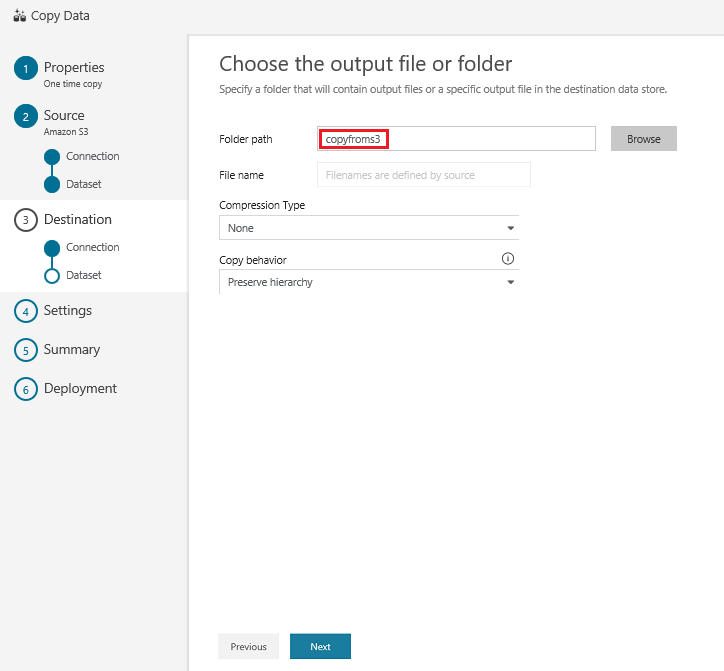 This article shows you how to use the Data Factory Copy Data tool to load data from Amazon S3 into Data Lake Storage Gen1. You can follow similar steps to copy data from other types of data stores. 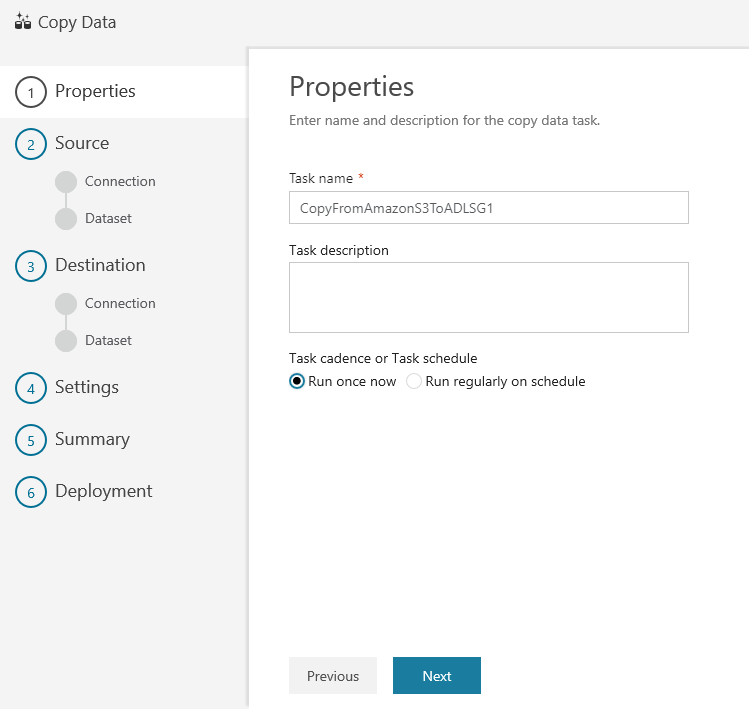 For more information, see Copy data to or from Data Lake Storage Gen1 by using Azure Data Factory. 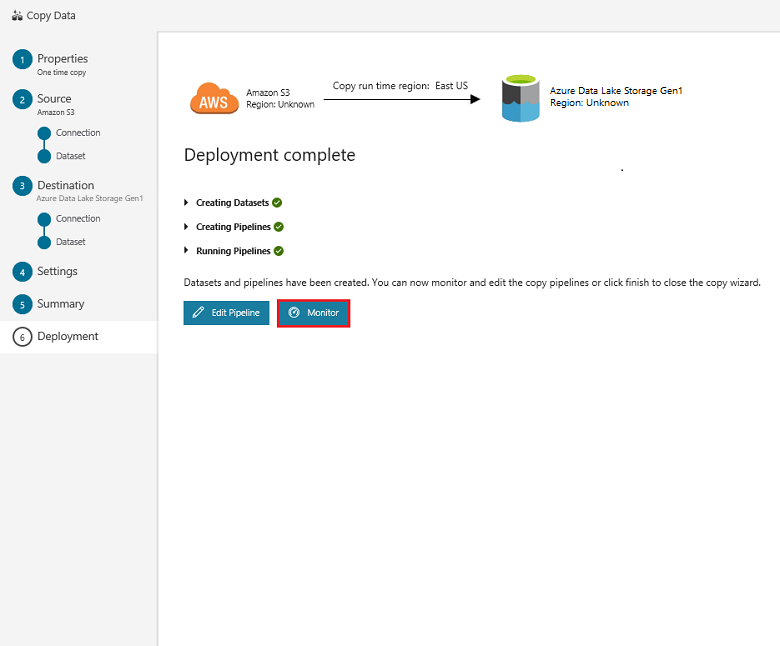 Data Lake Storage Gen1 account: If you don't have a Data Lake Storage Gen1 account, see the instructions in Create a Data Lake Storage Gen1 account. Amazon S3: This article shows how to copy data from Amazon S3. You can use other data stores by following similar steps. Name: Enter a globally unique name for your Azure data factory. 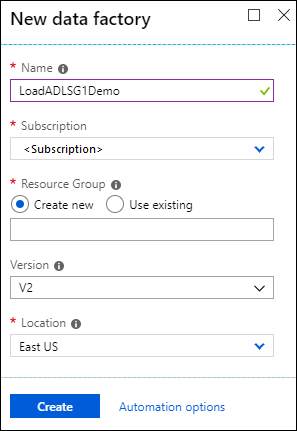 If you receive the error "Data factory name "LoadADLSG1Demo" is not available," enter a different name for the data factory. For example, you could use the name yournameADFTutorialDataFactory. Try creating the data factory again. For the naming rules for Data Factory artifacts, see Data Factory naming rules. 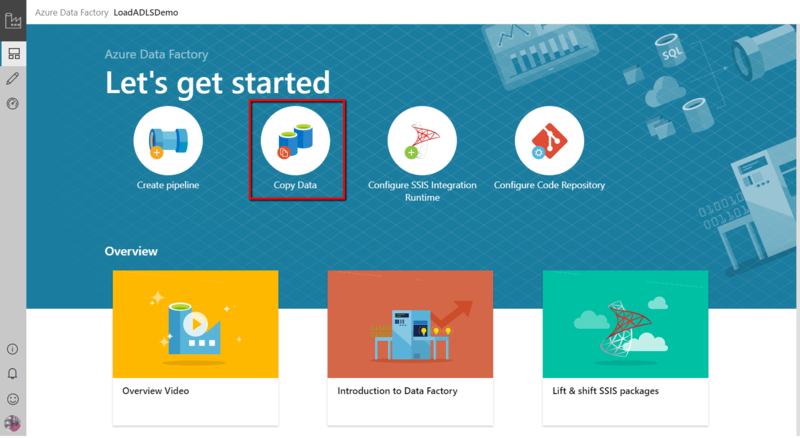 Subscription: Select your Azure subscription in which to create the data factory. Resource Group: Select an existing resource group from the drop-down list, or select the Create new option and enter the name of a resource group. To learn about resource groups, see Using resource groups to manage your Azure resources. Location: Select the location for the data factory. Only supported locations are displayed in the drop-down list. The data stores that are used by data factory can be in other locations and regions. 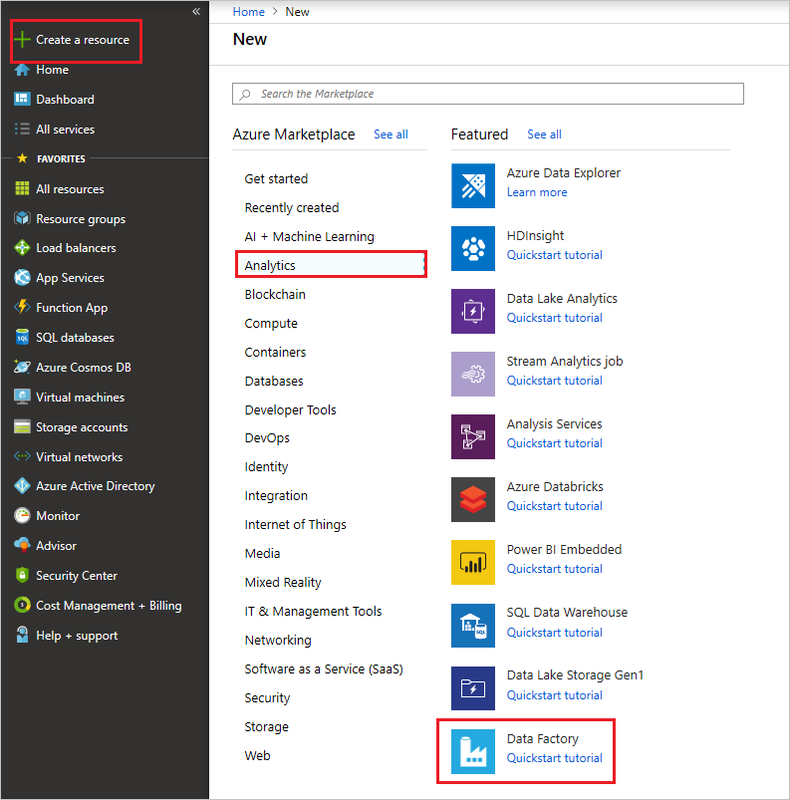 These data stores include Azure Data Lake Storage Gen1, Azure Storage, Azure SQL Database, and so on. 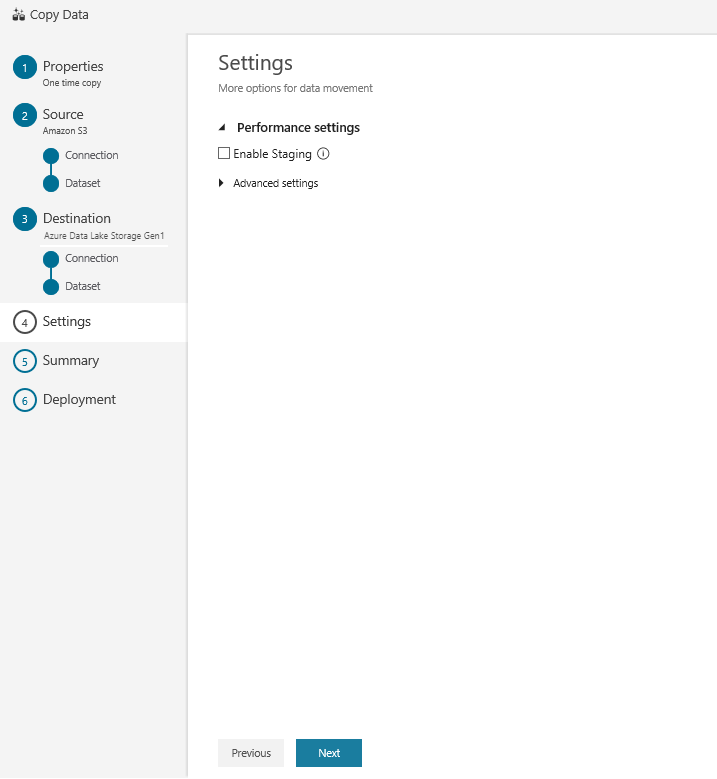 Select the Author & Monitor tile to launch the Data Integration Application in a separate tab. Specify the Access Key ID value. Specify the Secret Access Key value. You will see a new connection. Select Next. 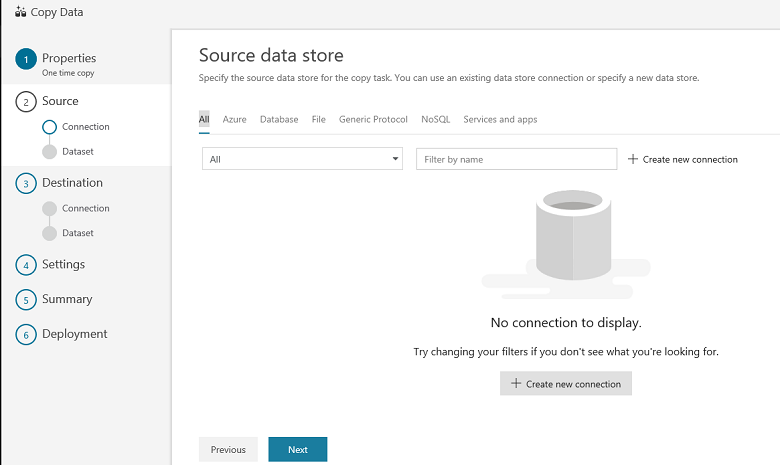 Select your Data Lake Storage Gen1 account for the Data Lake Store account name. Specify the Tenant, and select Finish. 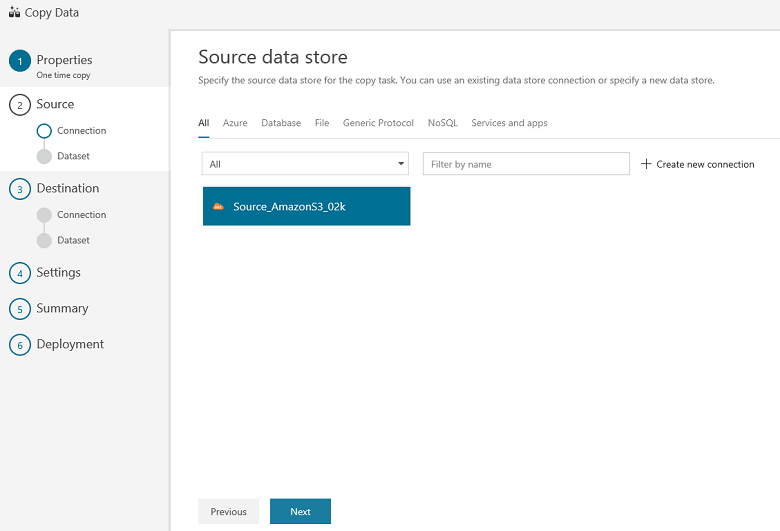 In this walkthrough, you use a managed identity for Azure resources to authenticate your Data Lake Storage Gen1 account. Be sure to grant the MSI the proper permissions in Data Lake Storage Gen1 by following these instructions. To view activity runs that are associated with the pipeline run, select the View Activity Runs link in the Actions column. There's only one activity (copy activity) in the pipeline, so you see only one entry. To switch back to the pipeline runs view, select the Pipelines link at the top. Select Refresh to refresh the list.